have enjoyable offerings for visitors. Multiple museums, including the Philbrook Museum of Art, the Air and Space Museum and the Oklahoma Jazz Hall of Fame, dot the city’s streets, and the surrounding countryside makes for great walking and exploring. Though not quite “The South, ” Tulsa has a similar feeling, one evidenced especially by the food offerings. Barbeque is exceedingly popular, with Elmer’s BBQ being the most famous restaurant. Of course, other types of foods are available and top notch. earlier in the season, you might still get daytime temperatures in the 80s and low 90s (26-33). Summers can get hot quite hot and humid -- though you’ll likely enjoy plenty of sun and lower airfare -- while winters are cool with intermittent warm spells that come in to cheer everybody up. Spring is also not a bad time to visit: you might encounter rain, hail and even tornadoes, but for the most part, the weather is pleasant. Being a student here in Tulsa, you're able to find the best variety of coffee shops! Only an hour's drive to Tulsa for big city entertainment or travel from Tulsa International Airport. I have been in Tulsa for last 37 years, this is the best city in USA. I have traveled all over the country but there no city better then Tulsa. Stopped in Tulsa on a trip down the old Route 66. Visited the old Philtower Building which was once owned by the Boy Scouts. 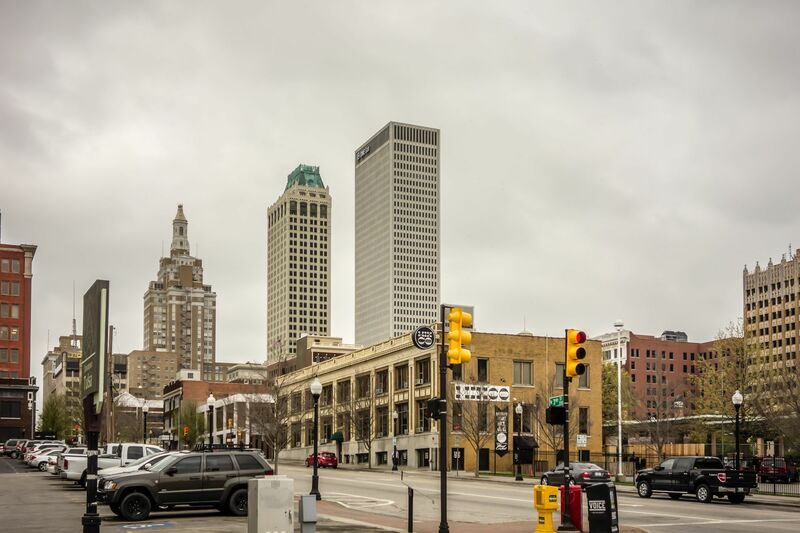 Despite Tulsa's historic connection to the oil business, there is something about the atmosphere that reminds me of a northern city. There are so many interesting neighborhoods, great restaurants and shopping, some fantastic art deco buildings, an active nightlife, and impressive arts and cultural activities. I hired a taxi and asked the friendly driver to show me the best of Tulsa in an hour. It was great! I was born and raised in Tulsa. It's a beautiful and clean city. Some Oklahomans consider themselves southern, some western. I think we're the best of the Southwest. I live in what we call Green Country, because of all the rivers and lakes. My favorite attractions are The Philbrook Museum, River Parks and downtown at night. Spring and Fall are our best seasons. We don't have many Winter activities except around the holidays. Summer can be blistering hot, 100 degrees and up. Not good for northeners. Summer is when we make good use of all our rivers and especially the lakes. Tulsa is a great place to visit. A lot to do, great restaurants, shopping, casinos, golf, zoo...etc. Just be sure to pay a little more for a good hotel room and check the reviews before booking. Nice and hot in the summer, mild winters and gas is cheap at the pump. Beautiful place to work, raise a family and have fun. Not too big (population 500,000) and definitely not too small. I was stuck downtown, and the city becomes completely deserted at 3:30pm.